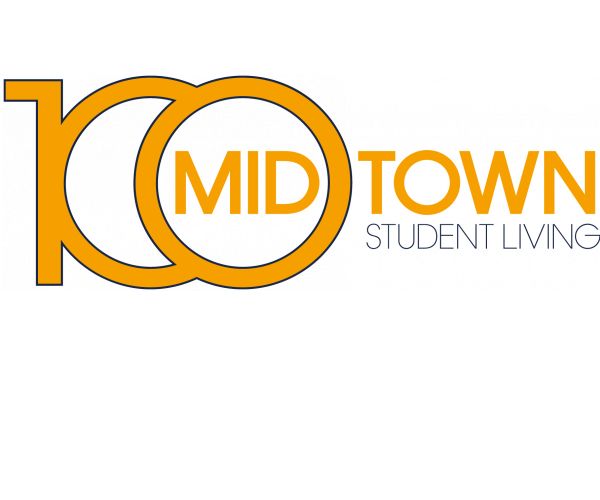 100 Midtown has 2 and 4 bedroom SCAD Atlanta housing with everything students need to succeed! Our exceptional apartment community was specifically designed with your unique lifestyle in mind. Our prime location in Midtown Atlanta provides fast access to the SCAD Atlanta campus, as well as the best dining, shopping, nightlife, and parks the city has to offer. We’re also just a 5-minute walk from the Midtown MARTA train station, making it easy to get wherever you need to go. As a student housing community for SCAD Atlanta, Georgia Tech, and Georgia State, we know our residents’ main priority is academic excellence. That’s why our 24-hour computer lab has Macs and PCs loaded with the graphic design, photography/videography, and engineering software, and our study rooms are outfitted with Smart Boards. We also have our very own library. Our fitness center, featuring full cardio equipment, a TRX station, machine weights and free weights, is also open 24 hours a day, letting you work out whenever you have time. And our theater room, with an HD projector, a DVD/Blu-Ray player, and real theater seating, means you and your friends can watch movies without spending a dime. Residents also enjoy access to our video gaming room, TV lounge, and game room with pool and ping pong tables. Comfort and convenience are very important to us. Fittingly, every apartment at 100 Midtown has air conditioning, a dishwasher, and a washer and dryer. Our apartments are also fully furnished, saving you money and making move-in and move-out a breeze. The cost of utilities (Internet, water, electric, gas, and cable) is included in your rent and online payments are available. And since we lease our bedrooms individually, the only rent payment you’re responsible for is your own. Choose from more than a half-dozen floor plans spanning up to 1,764 square feet. Our 2 bedroom floor plans have 1 or 2 bathrooms and every 4 bedroom has 2 bathrooms. No matter which floor plan you pick, you can expect full kitchens, open living and dining areas, and plenty of storage space. Now that you’ve found the perfect SCAD Atlanta housing, it’s time you had a look around. Contact us today to schedule a personal tour. We can’t wait to show you around! 100 Midtown offers smoke free apartments. If a resident smokes in their unit, they will be charged the cost of any necessary cleaning and repairs. 100 Midtown allows only fish in a 5 gallon or smaller tank.